As much as you would like to think that you have things all “under control” you’re really getting bent more and more out of shape, and because you have so many dimensions to your life; your family, friends, career, health, finances, personal and spiritual growth, – maintaining balance among them all can be very difficult. And, to make things worst, when one area is given a heap of attention…. the others suffer. You want to make things better, but you don’t know where to start or how to figure what’s really out of balance. I want to help you figure it out….it’s the “Life Wheel”. The Life Wheel is a tool to help you get a picture of where your life might be out of balance. I used this wheel when I came across the Make My Christian Life Work site. It’s a Christian based blog and one of the things I like about it is the section on balancing your life. 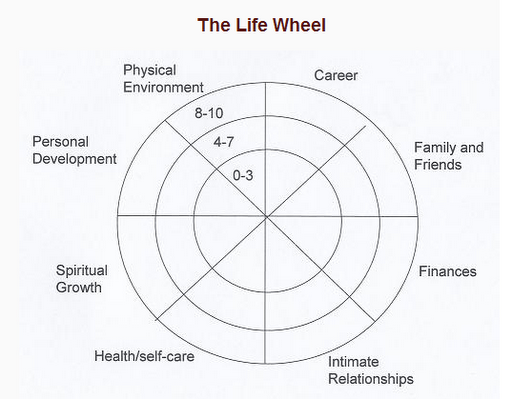 The life wheel gave me a visual to help determine where my life was out of balance and I know it will help you too. Notice each area listed on the wheel. Feel free to add or change areas or titles to better fit your life. Rate each area listed on the wheel on a scale from 1-10; where 1=totally unhappy and 10=great. After you give each area a score, color it in for the title being rated, up to the assigned number. See whether your “wheel” is round and able to roll. Where your wheel is not round, gives you a picture of which areas of life you need to start to focus. Now, the goal is to bring all areas of your life to about the same level so it’s in balance. You can use this life wheel anytime you think your life is out of balance or when there are event changes in your life, such as, the birth of a baby, going from single to married life, married to single or even career changes. You will find that as you start to improve on the life wheel, even if the level is still not where you want it, you’ll begin to feel more in control. Sure a “10” would be ideal in all areas, but don’t aim for perfection, but improvement. Well, now that you’re on your way to balancing your life, take some time and consider what’s really important to you. Consider what your values are,your beliefs and what truly guides you in life. 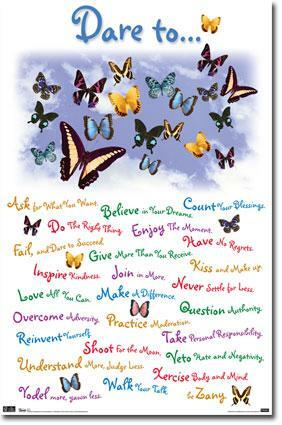 Then, place those as your core values, at the center of your life. By doing this, every area of your life will be directed by what you believe is the most important for you. And even when things seem a bit hectic at times, knowing your core values makes it easy to say “no” to what doesn’t fit and “yes” to what does. Now go and get your life back in balance and enjoy life. Good luck and I wish you well. ← Nutritionwise: Eating Better for Less! Loose, worn or damaged wheel bearings as well as certain kinds of tread wear can also cause vibrations. So too can an out-of-balance or out-of-phase rear wheel drive driveshaft (FWD shafts usually don't rotate fast enough to cause vibration problems.